Just fitted to a 60 year old British bike, fit well and fired her up 2nd kick. Does the trick. Efficient service by Tayna. Received battery quickly and well packed. Fits my BSA battery carrier, and hope that it will Keep my bike powered for a few years. Replaced other solid state and acid batteries which were forever letting me down. This battery solved all the problems. Stays charged for ages. Would recommend. 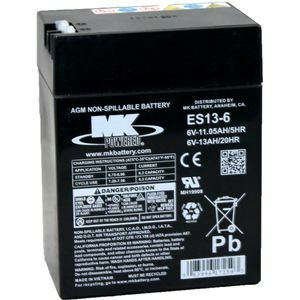 PERFECT REPLACEMENT FOR OLD LEAD ACID BATTERY. SMALLER DIMENSIONS, RELIABLE FOR OLD BRITISH BIKE. Very friendly and quick responding company. Good product working well in my motorcycle. I'm giving them 4 stars only because of problems with delivery company what is definitely not their fault. Excellent battery, good staying power. Used in a remote control boat, twin electric motors. Good value ,well made product. Arrived on time, works well.Time will tell re it's longevity. Battery was delivered very quickly. Well packed. Excellent service! The battery arraived safe and sound. Extremely well packed. Many thanks! Super battery. Bike ticks over reliably for the first time ever. Good quality and reliable product. Fast and reliable service.